We tested your blog page and see the problem you have described. It looks like the links had not been removed from the text. 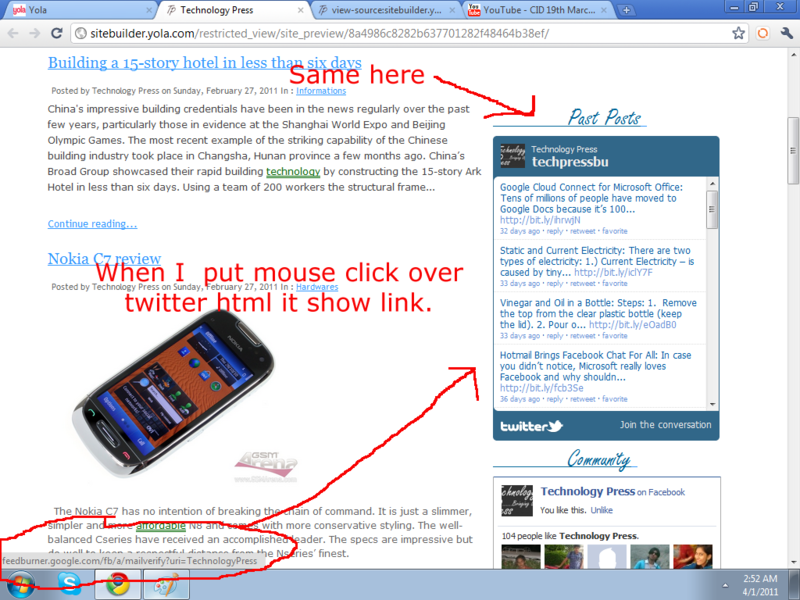 The way to fix it, is to click on the HTML button in the Text Editing Toolbar and copying the HTML code. 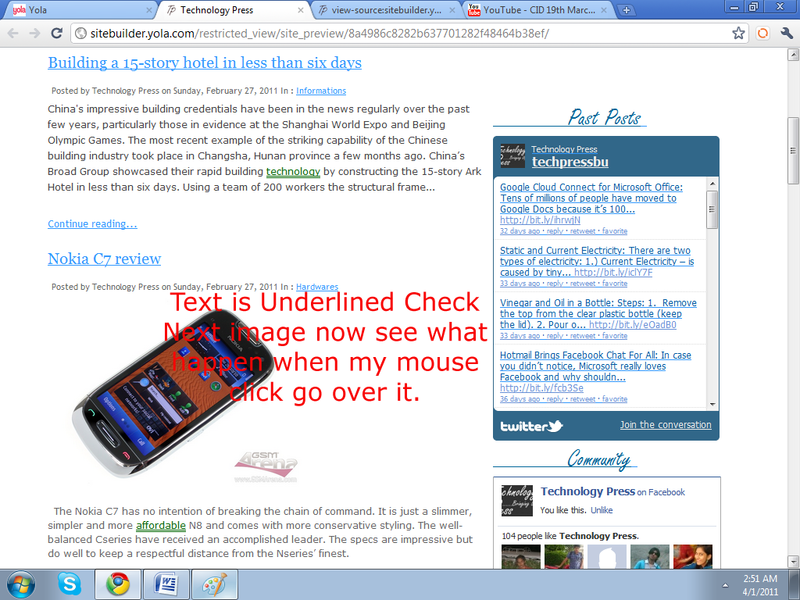 Then drag and drop a new Text Widget above or below the existing one. Click on the HTML button again and paste the copied code inside the HTML editing screen. You can then remove the one that is displaying incorrectly. We did this for your Blog pages and it is working. I notice that you have posted this on the forum several times. Please keep your posts limited to one so that we can attend to your query in one place. I will be merging the other forum posts with this one. Ok, I will not post the same topic again and again. I Checked out my blog again but the Problem is still there. When I do what you say, Then links are removed and it works but when I refresh the page the problem again comes. There was not a closing a tag on the feedburner code. I have fixed this and you should not be seeing this again. Please let us know if you still have trouble with it.